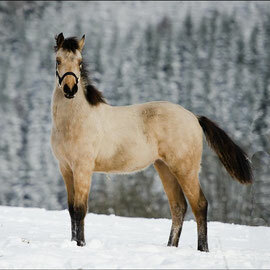 The former cross between Zoe and Hot Ice resulted 2015 in the Buckskin Morgan Colt Zarewitsch. 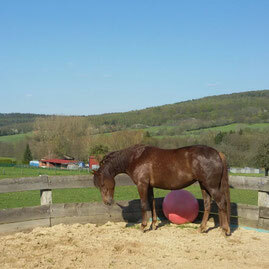 His sweet personality and his nice movements led to the decision to repeat this cross. 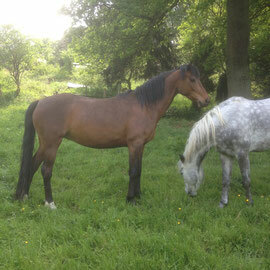 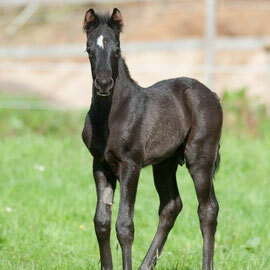 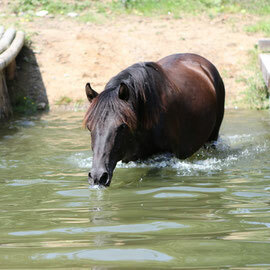 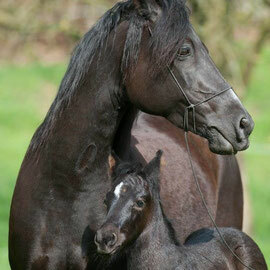 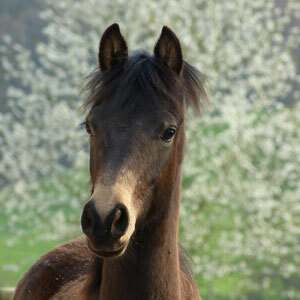 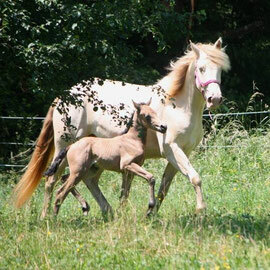 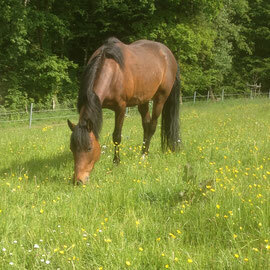 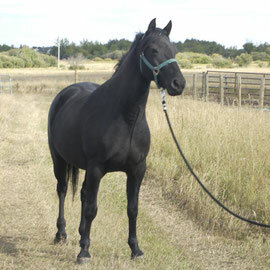 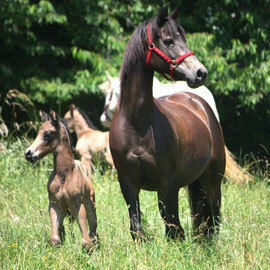 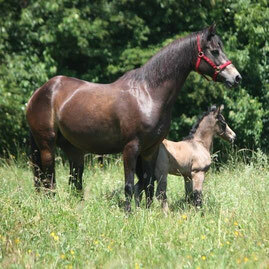 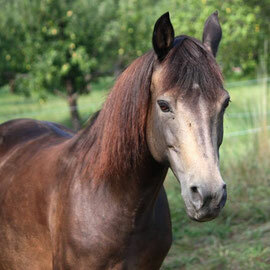 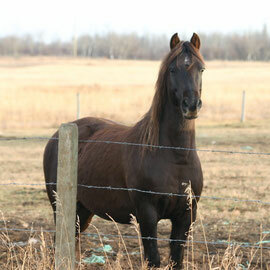 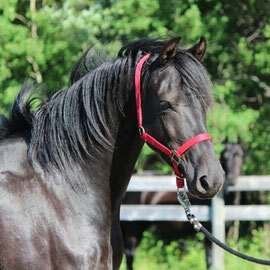 Zarewitsch grows up at our farm - if you are interested in the future foal - just contact the breeder or us. 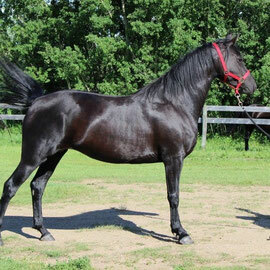 Hot Ice convinced during a show with his great personality and breathtaking presence. 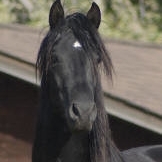 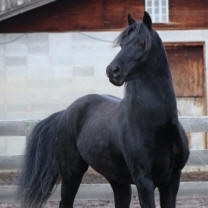 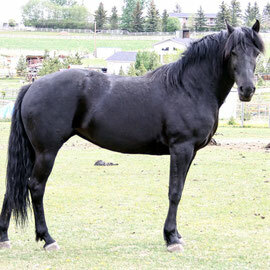 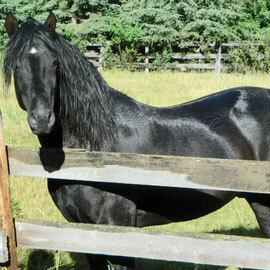 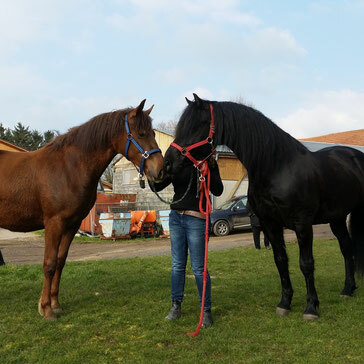 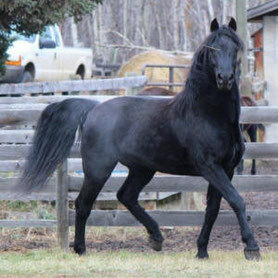 He won the title 'Grand Champion of all stallions' in Germany and the Netherlands. 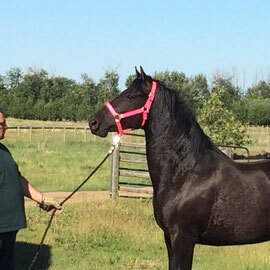 Now we hope the dream of a foal from charming Loleen and Hot Ice will come true in 2017 for Family Cznotka. 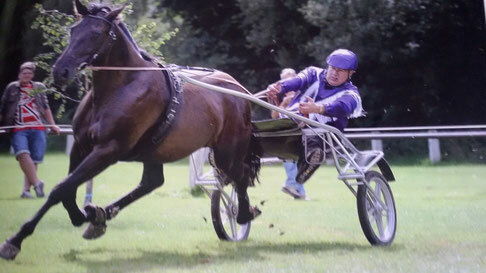 The first cross between a Trotter and a Morgan was very successful, so Jehns decided to repeat this cross. 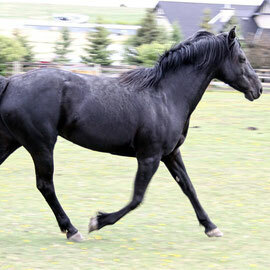 Their horses are driven in a spectacular speed and with breathtaking maneuvers. 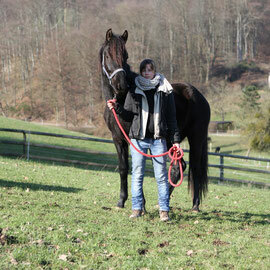 The daughter Amira (2014) is now started and very promising - with the astonishing coolness of Hot Ice and the amazing speed of Black Roses in her blood. 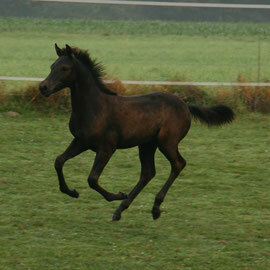 She is fun.